Pure Honey is GERM FREE and has many HEALING PROPERTIES. Pure Honey is PURE and ANTISEPTIC. Historians have said almost all Egyptian MEDICINES contained Pure Honey. When EATEN daily, Pure Honey will reduce your body's susceptibility to, and cure, INFECTIONS. Pure Honey heals BLISTERED EYELIDS caused by wearing contact lenses (APPLY 1 DROP DIRECTLY TO EYE). Pure Honey has been recognized as a cure for MALNUTRITION, OLD AGE, INSANITY, STOMACH DISORDERS and NERVE DISORDERS. (Recommended: EAT 3 TIMES A DAY). People who eat Pure Honey daily have fewer COLDS and seldom have the FLU infection. (EAT DAILY BY THE TEASPOON OR ON FOOD OR IN DRINK, 3 TIMES A DAY). Many doctors recommend EQUAL PARTS of Pure Honey, lemon and whiskey as an extremely effective COUGH SYRUP. Pure Honey can be used as an antiseptic in any CAVITY in the human body. (APPLY DIRECTLY, COVER). 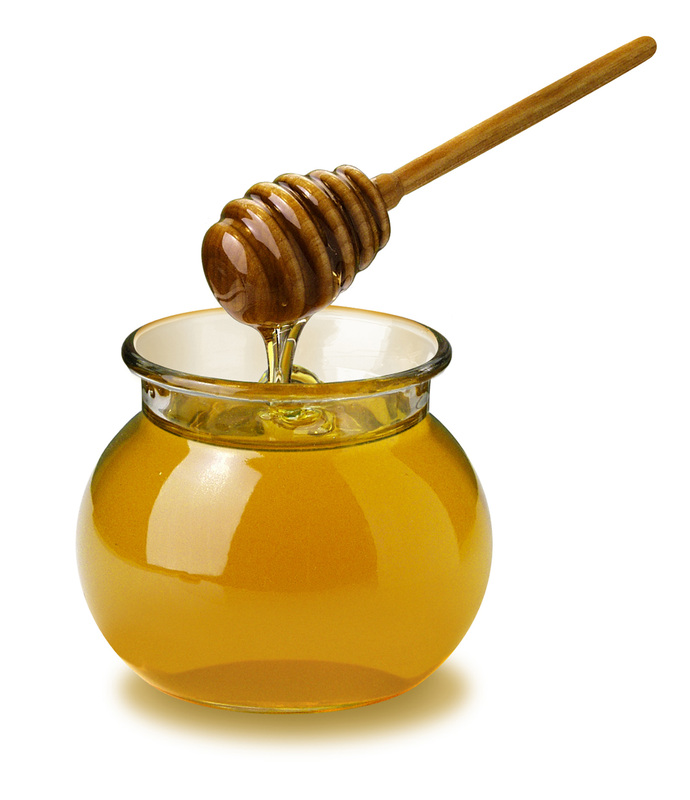 Because of Pure Honey's fructose content, many claim it is a CURE for a hangover. (Recommended: EAT 3 TABLESPOONS). OVER THE CENTURIES, Pure Honey has been one of many cures which, if nothing else, did not make the patient worse than before he took the "medicine." Pure Honey is pre-digested. When eaten, Pure Honey's simple sugars are absorbed directly into your body's bloodstream for INSTANT ENERGY. Pure Honey contained some of EVERY NUTRIENT required to MAINTAIN GOOD HEALTH. Pure Honey is FAT FREE, SODIUM FREE and has NO CHOLESTEROL! Babies and Pure Honey. Pure Honey is not recommended for infants under one year of age. Pure Honey is a safe and wholesome food for older children and adults.